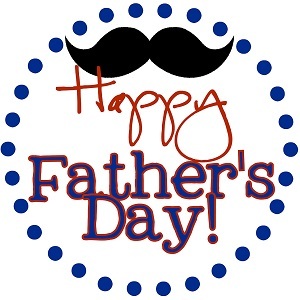 “Any man can father a child, but it takes a real man to be a dad.” So for those who happily took up the challenge, thank you! You have made the world a better place by being there for your child. Sometimes the word “dad” it’s associated with a strict, rigid, not very touchy-feely, type of guy – those are just the things that we often see on the outside. They need to be strong because they’re pillars of the home. Sounds kind of old school, but admit it or not, kids look up to dads for protection, for strength, for wisdom, and for courage. But the love that’s hiding underneath it all, sometimes in secret, is what makes a dad so powerful. Paul Truong: It definitely has to be my father. From a very young age, he made me believe that I could accomplish anything if I put my mind to it and nothing is impossible. Another word, I could reach the moon if that’s my dream. Fatima Palma: It’s my dad. My father is the one who’s always trying to push me. He would always tell me, you have so much more to give. God put you there for a reason and you don’t want to quit on it because it’s hard. Umar Saif: I look up to him, my dad. He’s given me a lot of hope. He’s worked much harder than anyone I know and started out from basically nothing to what he is today. I am rich in hope that I could come up to his standards and the way he is. My favorite thing to say about him is that he silently taught me everything that I am and everything that I hope to be. Denis Ndeloh: I will go back to my father, his enduring commitment to the education of his children at a time when most people around him did not think it was worth the risk. With no income, little income, many children – many people just say “teach them how to hunt, teach them how to farm and they will be okay.” Even though he was not educated, even though none of his wives were educated, he believed in something greater. He had heard, he only had heard from people that education is a good thing, but he believed in it. His hope that education would translate into a better life has greatly prevailed if you look around his family, so my father would be the very first person that inspires me the most. Vivian Melde: I think my parents and mostly my father. A few years before my father died, he wanted to take me around in the south where he picked cotton and grew up and show me areas where either he lived or had traveled. We took this road trip, my mom, my dad and I and he started telling me stories about how he was treated at times and I remember it wasn’t very nice treatment at all. I remember thinking at one point when he was telling me these stories, it’s like wow, how can you – he’s such an open and giving and happy, joyful person to have gone through what he went through. It’s like, wow, how could you not hold that against people? You make a friend everywhere you go. Angelina Estrada-Burney: My father grew up poor in New Mexico kind of up in the mountains and had a really difficult life because of the prejudice that the family experienced. I think the reason that I feel hope from him is because he didn’t want that same life for his children. He, like very many other immigrants and people that were in the US for the first time, worked very, very hard so that my sister and I never experienced what he experienced. A father’s word, a father’s opinion, a father’s action, a father’s way of life is deeply recognized by children. Whether a father means to teach or not, children are watching and learning. So dear dad, we know your secret. Under that thick armor of strength, courage, and manly stuff, we know what you really are. You are loving and caring and ready to explode with happiness and love when we say “I love you, Daddy”.